The rugged Toyota Tacoma with handsome styling and bold looks has 4x4 off road gear ready to go! The Toyota Tacoma TRD Pro is also in need of a vinyl graphic and stripe decal design. 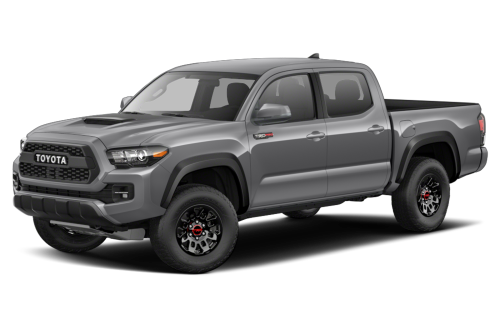 Below you'll find a variety of Toyota Tacoma stripes, Toyota Tacoma vinyl graphics, Tacoma stripes, and Tacoma decals kit for the model years indicated. Featured is the CORE 2015 2016 2017 2019 2019 Toyota Tacoma TRD Sport Pro Lower Rocker Side Door Vinyl Graphic Stripes Decal Kit, the SPORT PRO 2015 2016 2017 2018 2019 Toyota Tacoma TRD Sport and TRD Pro Hood Blackout Vinyl Graphic Stripes Decal Kit, the STORM 2015-2019 Toyota Tacoma TRD Sport Pro Upper Body Hockey Style Side Door Vinyl Graphic Stripes Decal Kit, and much more coming in the future! Choose one of these popular vinyl decal styles today!